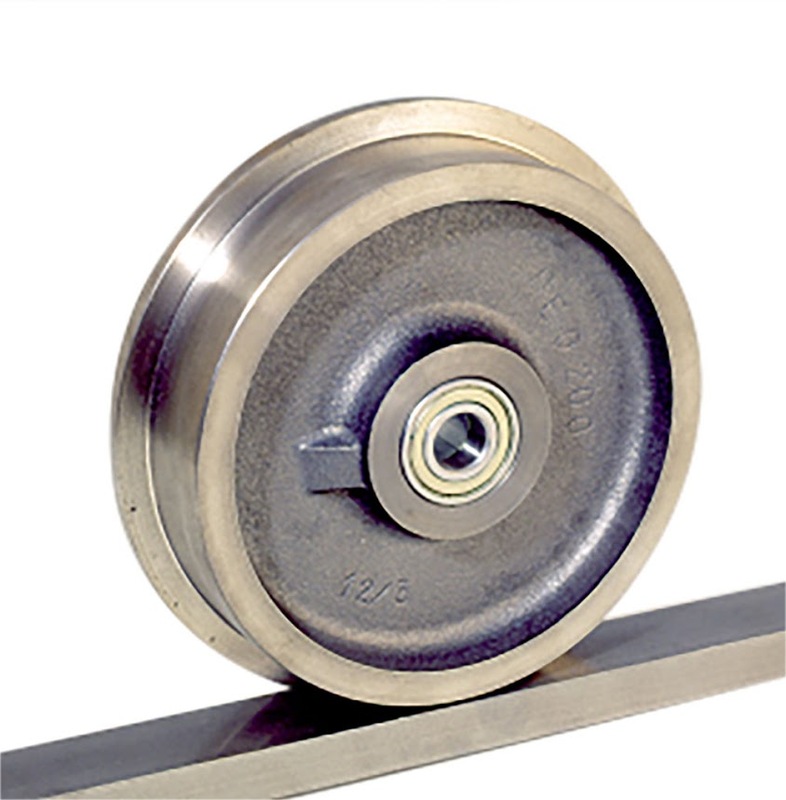 V Grooved and Flanged Rail Wheels are wheels designed to run on track and rails, and offer a heavy duty solution to moving goods and machinery. This range consists of 3 series of wheels, the Grooved Cast iron wheels which run an inverted iron tack, the Flanged Cast Iron Wheels that run on rail and the Steel Flanged Wheels that run on rail and are supplied with an integral flanged beam. These 3 wheels are the powerhouse of ross castors, and can be supplied when no other wheel will do!